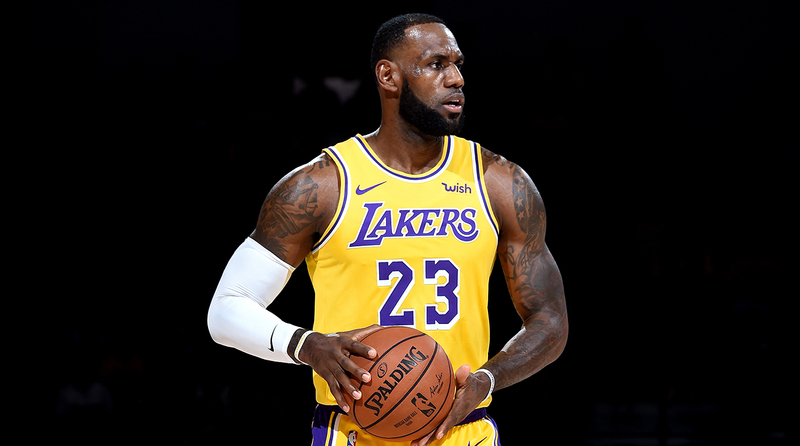 The Warriors and Celtics top the list on The Crossover's first Power Rankings, but where do LeBron's Lakers and the rest of the league fall? The most glorious time of the year is once again around the corner as the start of the NBA season is less than three weeks away. Welcome to The Crossover’s NBA Power Rankings, where we will attempt to distinguish the good from the bad, and separate the lies we’ve told ourselves all offseason from reasonable expectations that aren’t as glamorous. This is not a prediction of where teams will be seeded going into the playoffs, but more of a projection of how much faith you should have in each team if the postseason were to start today. For now, we’ll base things off what rosters look like on paper going into the year and the histories of the players and coaches on each squad. As the season wears on, this will become more of a reaction to what we’ve seen on the court, but until we have games to judge people on, this remains a bunch of speculations and gut feelings. When we can discuss individual styles as teams establish their identities, we will. As for now, let’s talk about how teams closed the 2017-18 season and pick out arbitrary stats to support a position I will have no issue flip-flopping on later down the road. 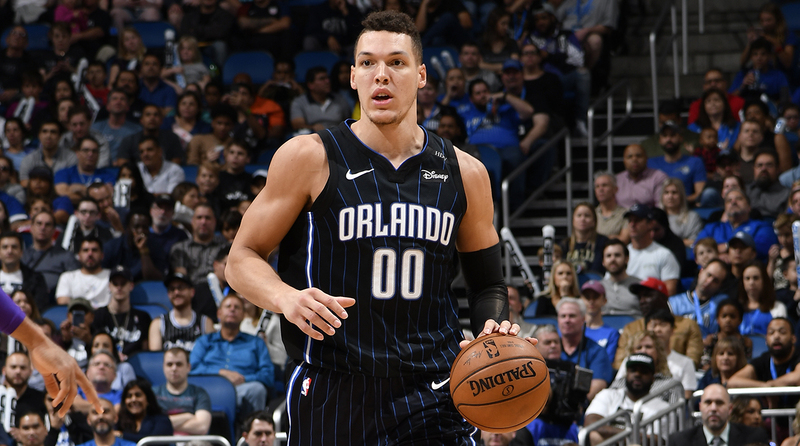 Aaron Gordon and Mo Bamba are the only exciting players for the Magic this season now that Shelvin Mack and his team-high 3.9 assists from last season are gone. Steve Clifford has his work cut out for him in his first year in Orlando following five seasons with the Hornets. Hopefully he can find another Shelvin Mack on this squad to handle the distribution duties and feed his promising young bigs. Knicks fans have reason to be optimistic about the future, but not the present. There’s a chance David Fizdale and Kevin Knox can come in and immediately shift the culture in New York, but they’ll probably need some time. Get used to watching a lot of ill-advised Trae Young three-pointers. Vince Carter and Jeremy Lin could provide some much-needed mentorship to the rookie guard, but their lessons this season will probably be much more helpful for dealing with life off the court. On the court, life is going to be rough for the Hawks and first-year coach Lloyd Pierce. With Jabari Parker coming home and Zach LaVine getting a healthy offseason to work on his game, the Bulls have the potential to make a serious improvement off last season. But with Lauri Markkanen starting the season on the sideline, Chicago will likely have to wait until about December to see that potential. It’s hard to have any sort of faith in a team with a point guard situation as bleak as Phoenix’s. If some combo of Isaiah Canaan, Shaquille Harrison, De’Anthony Melton and Elie Okobo can find a way to consistently feed Devin Booker and Deandre Ayton, the Suns could be an interesting matchup night to night. But Trevor Ariza and Mikal Bridges can’t save this defense overnight. The roster in Sacramento does not resemble that of a superteam. It looks like that of a franchise with no playoff appearances in the last 12 seasons and its ninth coach in the time frame. The last coach to enter a third season with the Kings was Paul Westphal, who got fired seven games into his third year. Dave Joerger should get more than seven games this season to show how much he can do with this team going forward, but each season he’s been there so far has been less successful than the previous. Marvin Bagley III and Harry Giles III could be at the forefront of the current evolution of NBA big men, or they could just as easily become another pair of Kings draft picks the world loses interest in after a couple seasons. They won’t have it all figured out the second they step on the court. This will take time. However, as we’ve seen before in Sacramento, time is a luxury that is not given to all. Buddy Hield showed last season he can be a solid three-point shooter who demands respect from defenses, but he didn’t make anyone believe he was the next Stephen Curry. And although a backcourt shared among Hield, De’Aaron Fox, Frank Mason and Yogi Ferrell would have no trouble making a deep run in the NCAA tournament, this group doesn’t feel like one that will have a Cinderella ending to its season. The Kings will learn which of their young pieces they can build around going forward during this season. They’re years away from competing for a title, but if the Kings are really going to be the superteam of the future, we should at least get a clearer picture of what their core will be as time moves on. Outside of Kemba Walker, James Borrego doesn’t have anybody else he can really turn to to go make a play whenever the Hornets might need one. Malik Monk and Miles Bridges could provide hope for the future in Charlotte, but they won’t be able to do but so much about the present. If we are lucky, Kemba treats this year like he’s back at UConn and we all just get to watch him throw the team on his back and go. D’Angelo Russell and Spencer Dinwiddie could be the backcourt pairing that returns the Nets to their glory years in Brooklyn. You remember the days when Deron Williams and Joe Johnson were around? Coach Kenny Atkinson saw his team improve eight wins from year one to year two and the potential is there for more improvement in year three. A lot will be riding on that backcourt taking another jump in progression this season and Russell staying healthy. 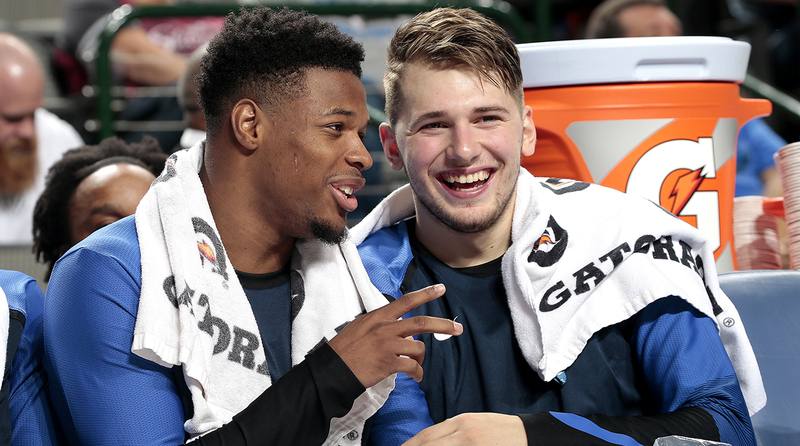 Luka Doncic is either going to convince NBA fans in the United States that it is time to take the EuroLeague and its budding talent more serious, or become a cautionary tale on why teams should just stick with guys who played college basketball as much as possible. It’s not fair, and makes little sense in reality, but this will be life in Dallas for a team that hitched its future on one of the most polorazing players in the class of 2018. Lou Williams, Tobias Harris, Danilo Gallinari, Avery Bradley and Marcin Gortat have all been a top three scorer on a playoff team at some point in there careers. With Doc Rivers at the helm, there is a certain mix of experience and edge to this team that has it in place to compete with anybody on any given night. However, there is also a certain mix of injury history and age that doesn’t bode well for the Clippers. This could be the year things really come together in Detroit and Blake Griffin re-energizes his career after four straight seasons marred by injuries. And Reggie Jackson stays healthy all year and looks like the guy who averaged 18.8 points and 6.2 assists for a playoff team in 2015-16. While Andre Drummond continues to clean the glass better than anybody else in the NBA. Maybe Dwane Casey can crack all the codes and show why he won Coach of the Year by lifting this team to new heights and back into the postseason. But when health has been a recurring problem for the team and its key players, there might not be much a new coach can do. For the second time in the past nine seasons, the Cavaliers are adjusting to life without LeBron James. This time around, there is another All-Star on the roster that is hanging around, and the team got a lottery pick to add to the roster unlike 2010, when it didn’t have a draft pick. Unfortunately, Kevin Love and Collin Sexton can only do but so much. Who else is ready to watch J.R. Smith and Tristan Thompson hold things down in Cleveland without LeBron? Tom Thibodeau has his hands full in Minnesota. The Timberwolves should be feeling great coming into this year after reaching the playoffs for the first time since 2004 last season, but instead, they are a team in disarray. It doesn’t seem likely that Jimmy Butler comes back, and his presence can't be good for the locker room if he does. All the rumors and Twitter beefs concerning Butler, Karl-Anthony Towns and Andrew Wiggins make it hard to see these three making it work at any time this season. Add in the fact that Minnesota has extended Wiggins and Towns in back-to-back offseasons, and it feels clear who is now in charge of creating the culture in Minnesota. Maybe Thibs can start to turn things around once Butler gets moved. Maybe he can finally get this team playing at the level we all hoped it could reach defensively when Thibodeau first arrived from Chicago. Maybe he can take Wiggins and Towns to the next level and show just what two No. 1 picks can do together when they reach their full potential. Or maybe, he sign Joakim Noah whenever the Knicks let him go, and plays Taj Gibson the most minutes he’s ever played in a year in his 11th season. It doesn’t feel good heading into Minnesota this year considering what could have been, but maybe they can find a way. Or at least sign another former Bull so we can make more jokes. Without Mike Conley, things went downhill for the Grizzlies. Tensions between David Fizdale and Marc Gasol reached a boiling point and Gasol was the one who got to remain in Memphis. He gets Conley back, but he also gets a year older and is now starting down turning 34 in his 11th season. The Grizzlies aren’t going to be the Grit n’ Grind group that won our hearts over in years prior, but the savvy veteran leadership of Gasol and Conley should keep them much more competitive than they were last season. Erik Spoelstra is entering his 11th season as the Heat’s head coach, and only once has he failed to finish above .500 and only twice has he missed the playoffs. This year will likely be consumed by Dwyane Wade’s farewell tour, but Spo will also use it as a chance to remind people he’s one of the five best coaches in the league. If he can get his hands on Jimmy Butler, he might be able to squeeze 50 wins out of this bunch. The Wizards didn’t blow it all up this offseason, but this feels like the first step toward what could be a complete roster deconstruction. All of the talk last year concerning John Wall and Marcin Gortat and moving the ball and playing like a team made it seem like almost everybody in Washington was ready to walk away from the situation. Well, Wall is still around and heading into his seventh season with Bradley Beal as his backcourt mate. The duo has reached the playoffs in four of their previous six years together, but last season was the first time they didn’t advance out of the first round. The bad public image and a pair of 10-point losses to usher in the offseason made the 2017-18 campaign look like a farce. And then, this offseason, the Wizards bring in Dwight Howard as the replacement to Gortat. Now, Howard was solid last year with the Hornets, but the optics of a locker room on the verge of collapse adding Dwight are hard to ignore. I don’t know what exactly Dwight does or does not do in a locker room, but the endings with his five previous teams make me think this is going to be at least a bit rocky. Scott Brooks is entering year three here and he is already looking to avoid declining win totals in back-to-back seasons. If things go bad early in Washington, it could stay that way all season. But if things start off hot, maybe the Wizards can reginte the hope people had in them after 2016-17. It was all right there for Dever last season. Just win, and you’re in the playoffs. Instead the Nuggets lost, and went back to the lottery. If Paul Millsap can stay healthy, this team should see itself right in the thick of the playoff race again. However, there is not going to be too much defense played in Denver. Watching Isaiah Thomas and Jamal Murray take turns playing alongside Nikola Jokic will be fun on the offensive end, but it will be a disaster on the defensive side, especially in pick-and-rolls. Giannis Antetokounmpo decided that he wasn’t already enough of an absurd physical specimen and went and got jacked this summer. He also got a new coach in Mike Budenholzer, who might be able to unlock things in this roster that Jason Kidd and Joe Prunty just couldn’t find a way to. This could easily be a breakout year in Milwaukee, or it could just be another season battling for the six seed. It’s hard to remove the taste of that sweep at the hands of the Pelicans from your mouth when ever you mention the Blazers, but we should try to do it at some point this season. Damian Lillard is coming off the best season of his career and still feels disrespected, so he’ll likely take another step forward this season. It will be easy to dismiss this team’s accomplishments because of last postseason, but just understand that they’re trying. Okay, Jennifer? C.J. says they’re doing their best and we should take his word. New Orleans will be stuck listening to rumors about Anthony Davis all season long. Signing to Rich Paul of Klutch Sports this offseason does not make matters better concerning speculation about Davis’s long-term future with the team, but for now, Davis and Jrue Holiday will be on the court for the Pelicans. Alvin Gentry was able to work magic with this roster last year after DeMarcus Cousins went down, and now it’s time to see him carry that over into a new season and avoid a letdown the year after making the playoffs like the Pelicans suffered in Gentry’s first season. There are so many questions and just general points of intrigue with the Lakers. How will Rajon Rondo, Lonzo Ball and LeBron James coexist? How will Kyle Kuzma, Brandon Ingram and LeBron James coexist? How will Lance Stephon, JaVale McGee, Michael Beasley and LeBron James coexist? It’s simple: LeBron James. The roller coaster is going to go up, down, backward, forward, in a loop, over a mulberry bush and through LaVar Ball’s living room this season in L.A., but as long as No. 23 is taking the court, this is going to be one of 10 best teams in the NBA. And the second we start to think it’s not, No. 23 will convince us otherwise. The world is waiting to see what Victor Oladipo can do for an encore. He’s not the front man of a rag-tag group that Paul George left behind to rot in Indiana. He proved that last season. No, Dipo is a coming off a year where he was third team All-NBA and first team All-Defense and showed the NBA that he and this team are ready for the big stage. The lights are going to be way brighter than they were this time last year in Indiana, and it’s up to the leading man to keep the show on point. Luckily, he seems ready for the challenge. The third time could be the charm for Sam Presti’s attempts at building a team around Russell Westbrook. Paul George is certainly the running-mate Russ needs. He can allow Westbrook to dominate the offense while also providing a steady hand in case the 2016-17 MVP gets a bit too erratic. Now it’s time to see if the defensive role players like Andre Roberson, Jerami Grant and Nerlens Noel can add enough on the offensive end to keep Russ and PG from forcing it too much. And if Dennis Schroder can find that perfect equilibrium of backup point guard, sixth man and third option on offense, this team should be eyeing 50 wins. Can Dejounte Murray Lead the Spurs Into a New Era? The Spurs were two games out of the three seed last season, but thanks to a first-round matchup with the Warriors, it felt like they basically missed the playoffs. The Kawhi Leonard drama dominated their season narrative in a way nobody ever would have expected for a Gregg Popovich squad and put in question just how much longer this run of Spurs excellence could truly last. And then, two of the franchise’s greatest players found their way out the door shortly after Leonard got traded away, with Manu Ginobili retiring and Tony Parker leaving for the Hornets. Popovich now has zero Finals MVPs on his roster for the first time since 1998. It all feels so new in San Antonio this year, but in reality, it really isn’t. There’s nobody on this roster who’s ever dominated a series in June with a title on the line, but this is just another Spurs team with an All-Star power forward, a shooting guard that can score and facilitate on the offensive end and a point guard that is raw and showing flashes of serious potential. No, LaMarcus Aldridge, DeMar DeRozan and Dejounte Murray are not the second coming of Duncan, Ginobili and Parker, but they are a solid starting point for a team coming off a 47-win season. Kawhi leaving the way he did shifted the aura around the Spurs organization and has pushed people to look at it from a different perspective. What Tim Duncan brought to San Antonio can never be replicated, and we were fools to think the ship would keep moving along with no issue when Kawhi became the new captain. But even with all the questions and uncertainty draped over last season, the Spurs' only real letdown was not finding a way to win three more games to keep the streak of 50-win seasons alive that dates back to 1999-2000. Popovich just added another All-Star to a roster that nearly had homecourt in the West with LaMarcus Aldridge as the only player averaging 20 or more points. There might be a lot of midrange jumpers and games that end in the 90s, but there’s also going to be a lot of wins for the Spurs. This team is not going to have the .789 win percentage it did to close out last season after Rudy Gobert got healthy, but Utah will win a lot more games early in the season than it did last year. Donovan Mitchell is no longer a rookie, and I don’t look forward to him showing up to games in “Sophomore” hoodies, but seeing how he improves as a No. 1 scoring option will be a good time. Game 7 of the Western Conference finals might make it easier for Rockets fans to see Trevor Ariza walk away, but he will be missed in Houston. If Carmelo Anthony can be more reliable and dangerous as a catch-and-shoot floor-spacer than he was in Oklahoma City, then James Harden and Chris Paul will be able to keep this offense operating at an historic pace. But it’s hard to see this team ranking sixth in defensive rating again. The city with the biggest and bluest collars in America is also home to the team that had the second-best record in the league from Christmas until the end of last season at 38-12. That alone is enough reason to be high on a young Philadelphia team that was able to get its first playoff series win in its first postseason appearance as a group. For the first time in Joel Embiid’s career, he is not returning from an injury to start his season, but The Phantom of The Process will be missed. 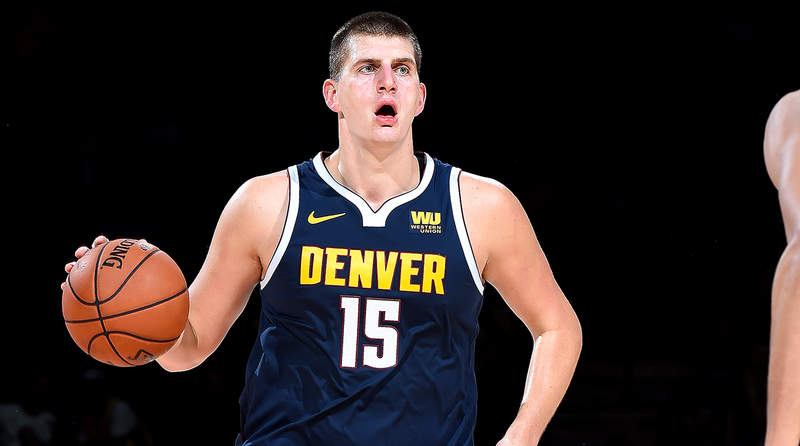 The 24-year-old centerpiece has already established himself as one of the top 10 players in the NBA in just 102 regular and postseason games and he is only getting better. 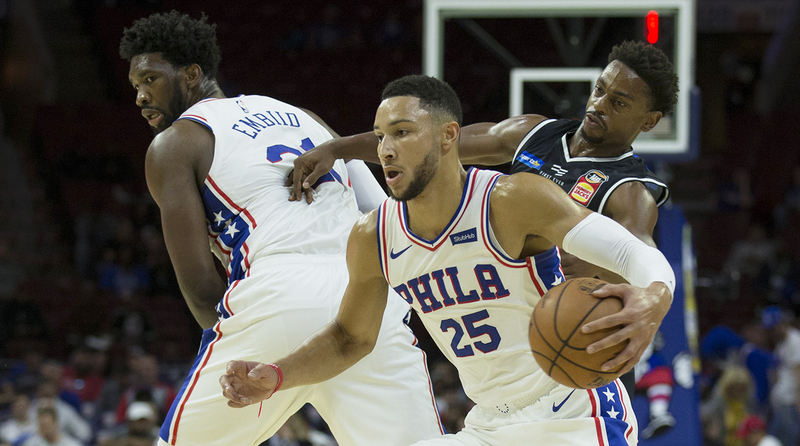 With Embiid protecting the paint and Robert Covington on the wing, coach Brett Brown will be looking to cement the 76ers as one of the league’s premier defensive teams. If that can happen, Philadelphia will buy itself some time to figure out exactly how this offense will flow when everybody is healthy. Ben Simmons is coming off a rookie campaign that can only be compared to the seasons of Hall of Famers, but all the talk is on whether or not he will shoot a jump shot. Similarly, Markelle Fultz needs to prove to the world that he can make a shot in an NBA game because his season-long shoulder troubles were much more memorable than his most recent regular season game when he became the youngest player in league history to record a triple double. If these two can find a way to play off each other and Embiid, and make opponents respect them from the outside, the sky's the limit in Philadelphia. The only thing holding back the 76ers is their age. And possibly their collars. The collars might be too big. Despite what Tristan Thompson might have said, with DeMar DeRozan and LeBron James being replaced by Kawhi Leonard and Collin Sexton on their respective teams, you can toss all history out the window with the Raptors. If reigning Coach of the Year Dwane Casey was still around instead of first time coach Nick Nurse, I’d have even more faith in Toronto, but bringing in Kawhi and Danny Green is enough for me to start off optimistic. Boston’s starting five is going to be fun to watch this season. And same with the defensive lineups featuring Marcus Smart outhustling everybody. And the second unit lineups where we’ll get to see Terry Rozier to turn his defender into Eric-Drew Bledsoe in April. And we can’t forget the bigger lineups that allow Aron Baynes to get dunked on by opposing centers. Yeah, it’s going to be fun watching the Celtics. What did you expect? They signed Boogie. Even if it takes until February for him to get on the court or takes a step back after tearing his Achilles, they still have the Death Star Lineup of Stephen Curry, Kevin Durant, Draymond Green, Andre Iguodala and Klay Thompson. I refuse to call them The Hamptons Five when Howard Beck gifted us a way cooler nickname.